Paloma Mami and her sister, Sofia, are closer than peanut butter and jelly sandwiches — specifically the kind made with Smucker’s two-condiments-in-one-jar-concoction, Goober. During the filming of Paloma’s TIDAL Rising feature in famed New York City music studio, Quad, their closeness is on full display. Their makeup and gear are on point, but their hair is a little frizzy. No need to worry, Mami Castillo comes armed with a hairbrush and a mother’s touch — frizz be gone. Paloma is the 19-year-old bilingual R&B star on the tip of every music industry expert’s tongue when asked, “Who’s next?” And she wouldn’t be here without her mom and her older sister, Sofia. 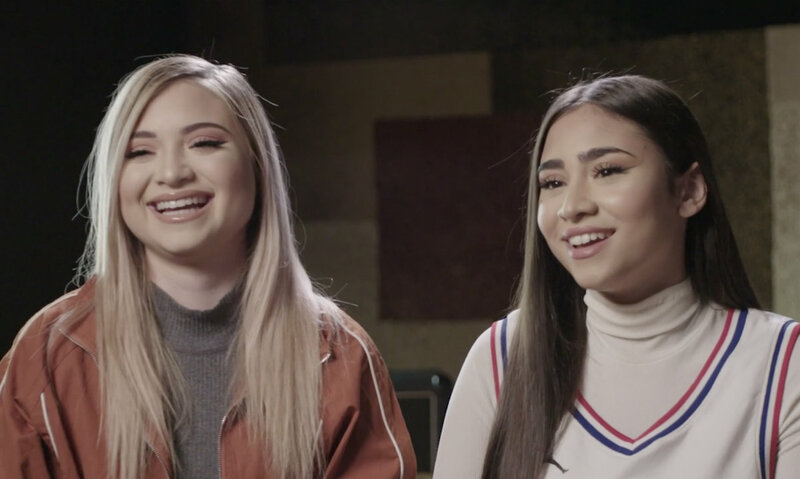 As the interview begins, Paloma and Sofia go back and forth about their first impressions of her singing (“She sounded like a sheep,” Sofia says), leaving New York City to return to their mother’s native Chile, and the most harrowing experience they experienced as children. At age nine, Sofia was diagnosed with cancer; Paloma was eight. One of the common side effects of chemotherapy is hair loss. For the average person it can be traumatizing, but for a child it can scar them for life. The yearlong treatment at the hospital strengthened their bond and made them both hypersensitive to each other’s feelings. Through laughter and comfort, Sofia overcame the disease. Today, she’s thankfully cancer-free. Paloma, of course, continues to crack jokes. Even if she is the new face of Spanish language R&B, family comes first. “Paloma is a good sister,” Sofia says, while Paloma looks on lovingly.